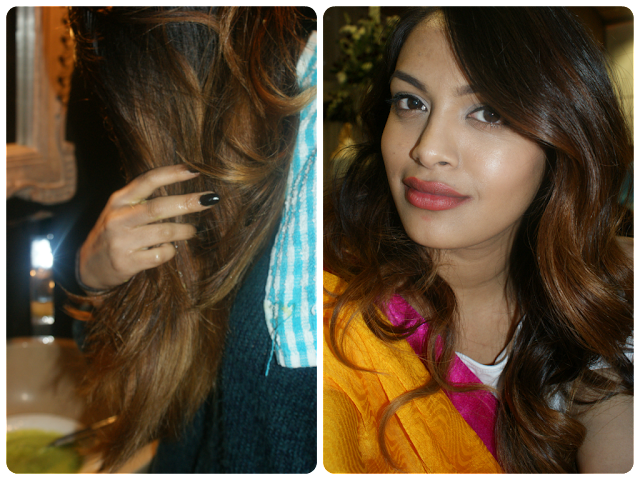 So the main thing that comes with ombre hair is the damage. You know its true, and unless you do it professionally, where they use miracle products and what not, you're going to end up with weak, split-ended hair that looks like straw, especially if you had dark hair to being with. Not really the look you want. 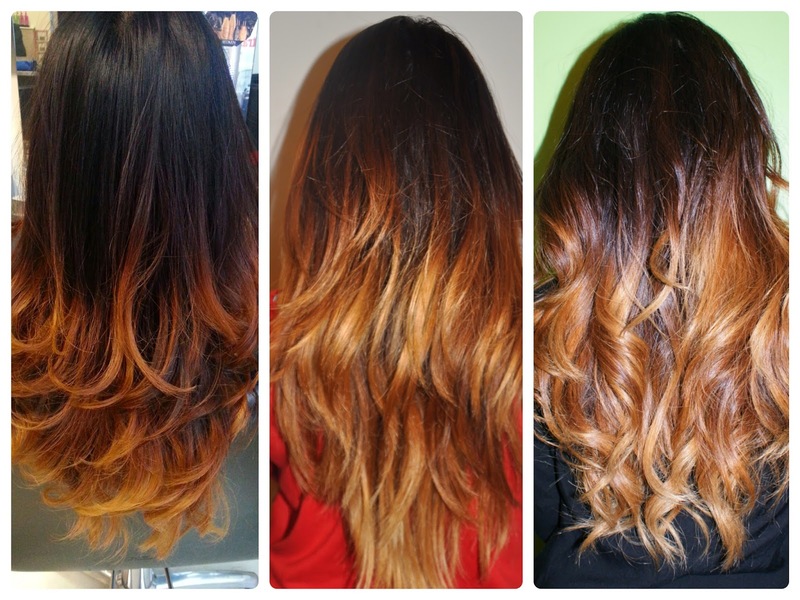 And cutting off your ends really isn't an option because it would shorten the amount that your ombre covers. Another problem with ombre-ing is the colour you get left with. If your hair has a red undertone to it then it will end up looking very brassy, and while some people may like that, I personally wanted a more high-contrast and golden look. I have a couple of techniques that I like to use to maintain the tone that I want, with the healthiness that I want. Followers of our blog, Instagram and/or Twitter will notice that we have a thing for oil. All types, for everything. Oil is such a saviour for damaged hair, but recently I've noticed that it also makes the blonde bits more .. blonder and brighter, but in a different way to the shine that it gives the rest of the hair. I personally can notice the difference straight away in the shower after washing the oil out. Kayennat has a few good posts on oiling hair and how to wash oil out as well, which can be such a huge problem! Especially if you use a high viscous oil like Castor oil. I also swear on leave in oil after a wash, and currently use the Organix Renewing Moroccan Argan Oil; Penetrating Oil. I also add oil to my tips before going to sleep, and change between coconut and almond oil. Now hair masks are good for your hair regardless of whether it is dyed or not, but dyed hair needs extra moisture so a regular mask is just as important as oil! The Avocado hair mask is one of my favourites, and really makes a difference. In the picture below you can see the difference in the hair. This was actually a before and after, as we had a wedding to go to and thy hair needed some extra life. Now this, is a god send. Purple shampoo is literally, purple in colour, and works to combat the brassiness in hair. The way I understand* it combats the 'yellow' tone of the hair and helps to make it more ashy. Yellow and Purple are on the opposite sides of the colour wheel, and so the purple combats the yellow to cancel it out. Depending on the tone you are looking for, you can use it either every or every other wash. Its not a permanent treatment and so if you find your hair has gone too ashy you can simply lessen how often you use the shampoo. This stuff stains. It stains my hands while I put it on in the shower but don't be scared of your hands being purple after as it washes off as you shampoo and rinse. Ive tried two; the John Frieda Colour Renew Tone Correcting Shampoo & Conditioner, and while that might be ok if my hair wasn't so dark to begin with, the Bleach London Silver Shampoo is more potent, so does what I want. You can see the vivid difference that using a tone correcting shampoo does to the colour, and dare I say shine, of ones hair. I love this stuff, and now swear on it for every time I wash my hair, and have a bottle at uni and at home. 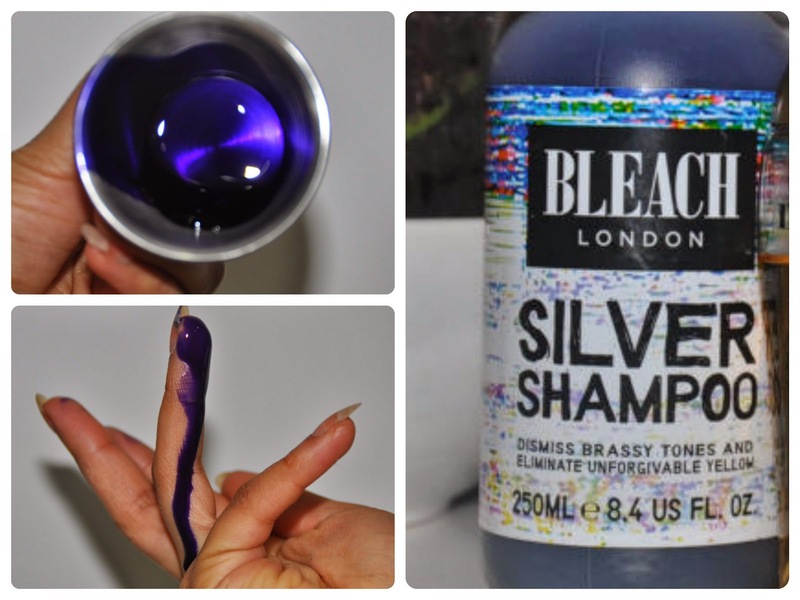 The Bleach London Silver Shampoo is sold at £5 for a 250ml bottle at boots, and lasts ages! I've used mine for three month almost every shower and I still have about half left! I hope this helps you girls who are having issues with their hair tone. I know I struggled at first and didn't know what to do! * please remember that I am not a hair stylist/expert in anyway, and that these are my opinions and experiences. Oh aye, bleach is the ultimate hair killer! Purple shampoo really is a saviour for the blonde hair. However, there is a cheaper alternative, you can purchase Directions Violet which is around £4? Mix a tiny amount of it with your shampoo, works out cheaper in the long run. Oils and protein treatments have helped replenish my hair. I think my hair has finally recovered, I no longer need to use a detangling lotion, HUZZAH! I haven't tried any protein treatments, but it's definitely on the list. Do you do it at home get it done? Awesome, HelpFul And Creative DIY Tips. I Just Loved It.